About THiNKaha | THiNKaha: Become a recognized expert in your field of expertise. Compelling thought leadership content. 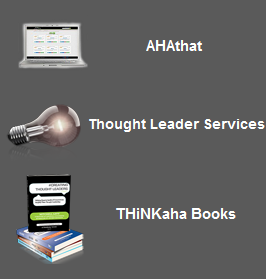 THiNKaha makes it easy to create compelling content that helps turn corporate experts into recognized thought leaders. 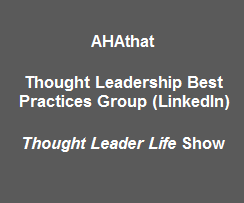 THiNKaha services include the AHAthat, thought leadership interviews via Google Hangouts, creating content portals, book publishing, webinar publishing, social media, traditional media coaching and vetted referrals, thought leadership mentoring/coaching, and many other thought leadership services, including the creation and support of corporations’ thought leadership blueprints.